In aromatherapy, we are constantly talking about diluting essential oils in a carrier. But what is a carrier, and which should you choose? Here we’re going to cover the organic carrier oils that are most commonly used for topical recipes and massage. Carrier oils are oils that are commonly pressed from the seeds, nuts, kernels, or fruits of a botanical. They range in color and scent depending on the plant and refinement process. Liquidy oils (like olive and almond) contain more unsaturated fats, and oils higher in saturated fats (like coconut oil) will be solid at room temperature. 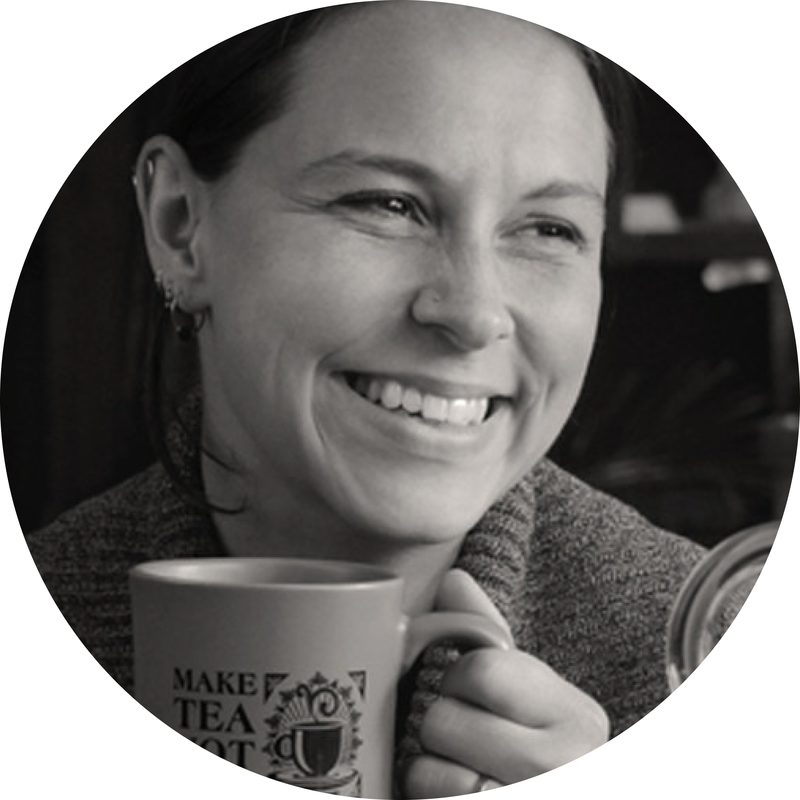 Common name: Is it the oil that you want? Latin name: Is it being pressed from the botanical you are looking for? An oil sold under the same common name can be made from different species and sometimes different plants! Plant part: What part of the plant is the oil made from? Extraction method: Oils can be made from cold-pressing (no heat), expeller-pressing (minimal heat), or solvent extraction. Refinement techniques: Is the oil unrefined, physically refined (no solvents used), or chemically refined? Is it winterized to remove waxes that can separate at cold temperatures? 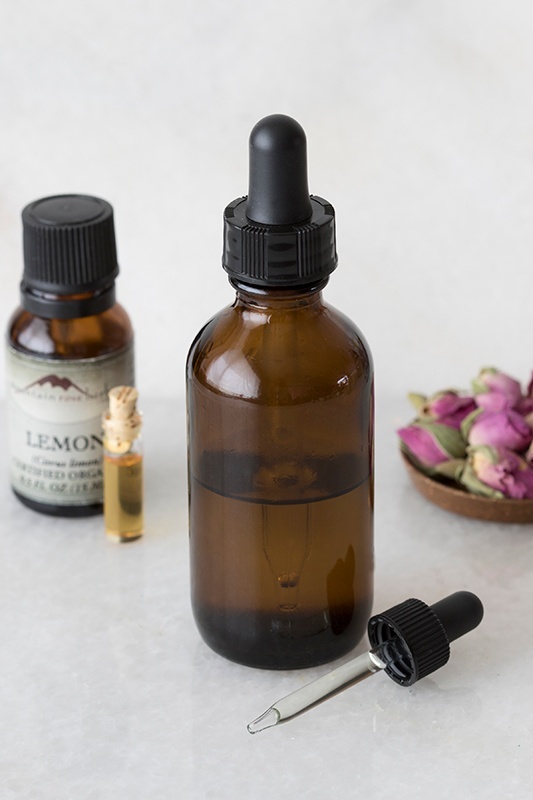 At Mountain Rose Herbs we offer a full line of carrier oils (organic whenever possible) that are cold-pressed or expeller-pressed. We will never offer anything that uses solvents for extraction or refinement or that are chemically refined. 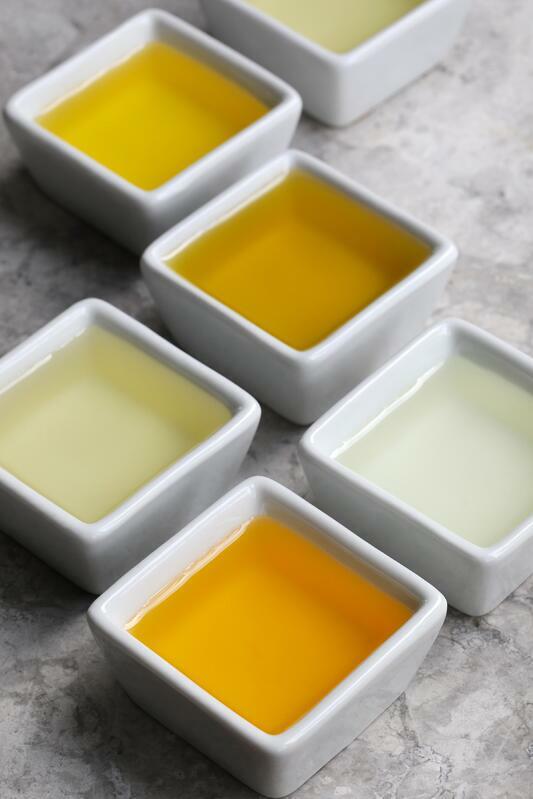 While many of our oils are unrefined and only go through a filtering process for clarity, we do have some available that are physically refined to remove color, strong scents or, in some cases, fats so the oil doesn’t separate in the cold. All this information can be found in the detailed descriptions for each offering in our online shop. 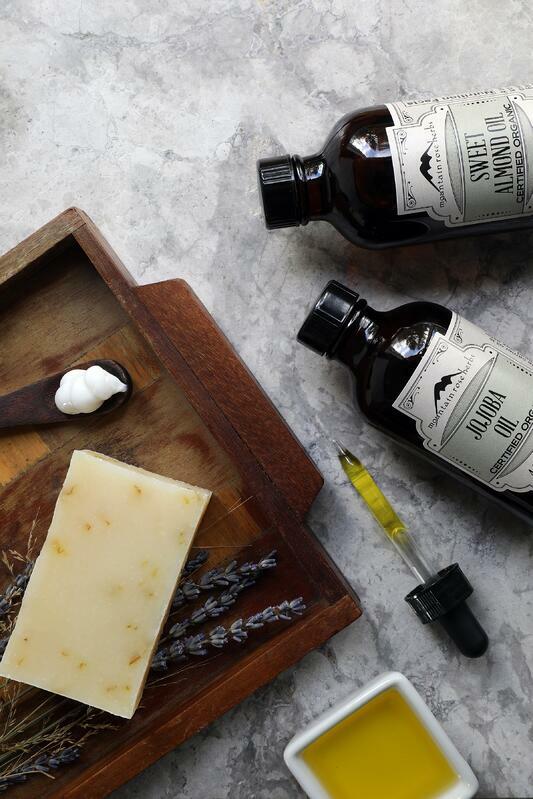 Jojoba oil is actually a liquid wax, giving it a stable shelf life. Structurally it resembles sebum, the oil that our skin naturally produces. Because of this, we love it for moisturizing massage and body oils. It can be used as a single ingredient base and does not need to be blended with other oils. Jojoba will not affect the scent of a finished blend. 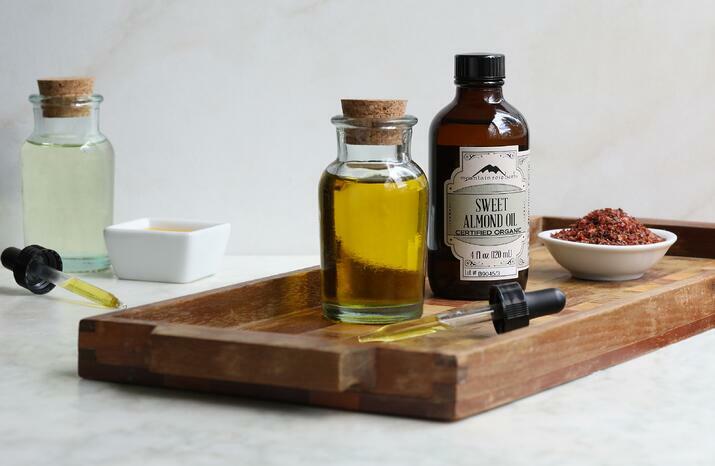 Almond or sweet almond oil is a classic base for body oils, creams, lotions, and soap. We love it for its emollient and moisturizing properties. It can be used as a stand-alone base, and it will not overpower the scent of a finished blend. However, you may be able to smell some of its nutty aroma. 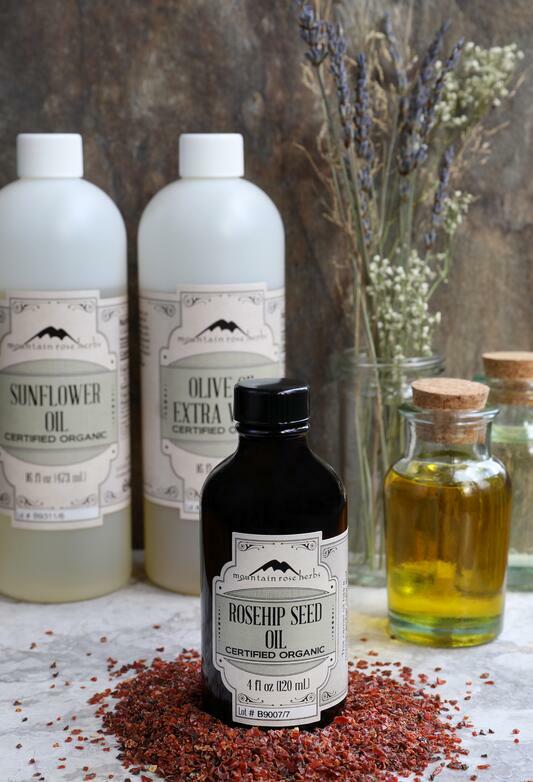 Our Non-GMO Project verified sunflower oil is light in aroma and absorbs well into the skin. It's a wonderful single ingredient base for body oils and massage oils. This high-oleic oil will not overpower the scent of a blend. This classic oil is most often used in massage oils and as a medium for herbal oil infusions. It can feel slightly greasy to the touch, but it provides emollient properties to a blend and long-lasting glide to massage oils. Olive oil does have a strong aroma and can affect your finished product, but don’t let that deter you from using this wonderful carrier option. Rosehip seed oil is our favorite for mature and dry skin, and it makes a wonderful moisturizing ingredient for facial serums and lotions. This oil needs to be blended with another carrier and should not be used as a single ingredient base. However, it could make up to 20% of your base blend. We recommend refrigeration of this delicate oil after opening to preserve its shelf life. Ready to start blending carrier oils with essential oils?